Seb McKinnon captures the essence of MTG with his stunning artwork. The War of the Spark spoiler, Deliver Unto Evil, brought Seb McKinnon back into the forefront of discussion. It’s an awesome addition to the new MTG expansion, and the artwork featured on it is unique and powerful. As is usually the case with McKinnon’s illustrated works. Mckinnon’s other War of the Spark card thus far is Deathsprout. Using his previous works for Wizards of the Coast, McKinnon launched a Kickstarter campaign to fund a movie he’s producing and directing. 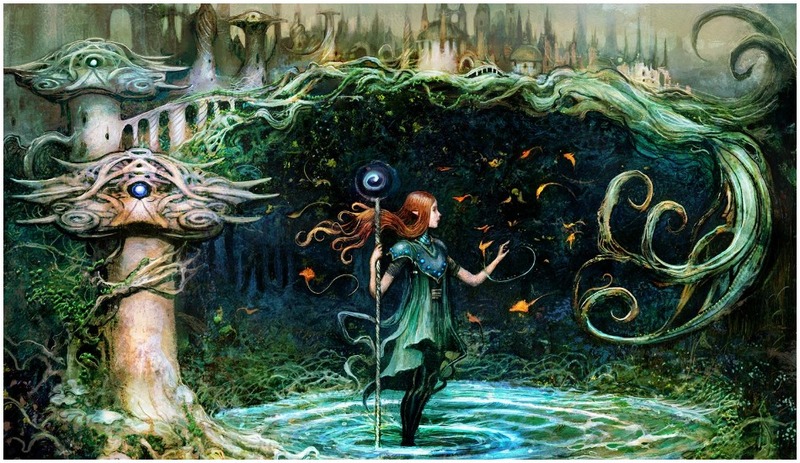 Owning his own production company, Five Knights Productions, McKinnon is offering MTG playmats in exchange for donations to complete KIN Fables: The Stolen Child. McKinnon has been working on his debut film, featuring a fantasy world of characters that looked like they jumped off his sketchpad, for six years. McKinnon’s talents go beyond being an artist. Clips of KIN Fables: The Stolen Child can be found on his Kickstarter page. Sadly, Deliver Unto Evil is not one of the playmats being offered at this time. With enough donations, however, more works by McKinnon will become available. 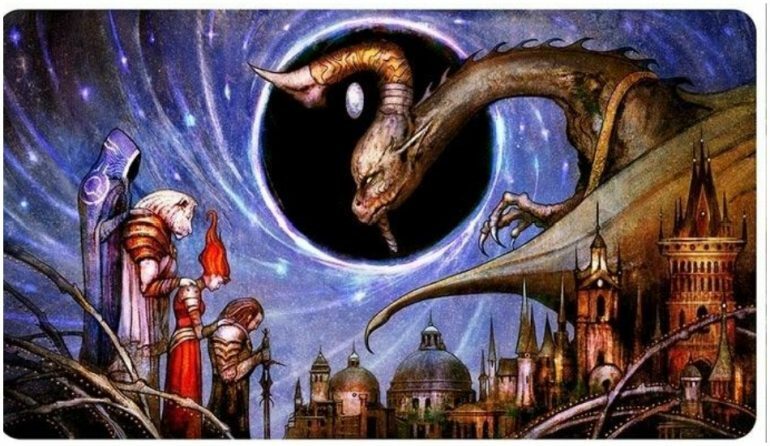 Mckinnon is accepting donations for MTG playmats such as Chalice of the Void, Vengeful Rebirth, Assassin’s Trophy, Bedevil, Growth Spiral, Bankrupt in Blood, Sterling Grove, Conclave Tribunal, Eidolon of Blossoms, and Rite of Belzenlok. Donation tiers and additional information on the KIN Fables: The Stolen Child can be found on Seb McKinnon’s Kickstarter campaign page.